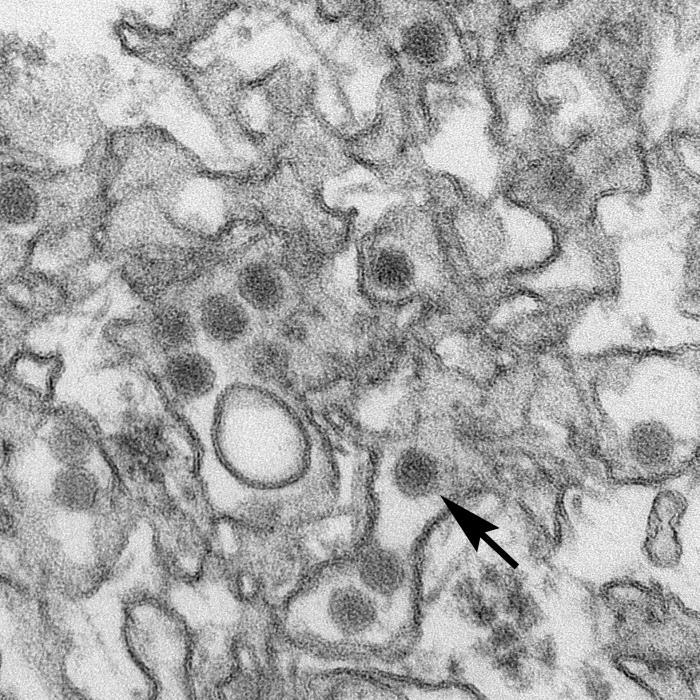 In this transmission electron micrograph of Zika virus, the arrow indicates a single virus particle. Courtesy: U.S. Centers for Disease Control and Prevention. Zika virus is a flavivirus, as are yellow fever, dengue and West Nile viruses. But none of those other viruses are known to cause microcephaly, which makes the Zika-microcephaly link “surprising,” according to Dr. Hugh Pennington. Dr. Pennington, an emeritus professor of bacteriology at the University of Aberdeen, made that observation in a recent London Review of Books blog post. Dr. Ciro de Quadros, a Brazilian epidemiologist who was instrumental in ridding the Americas of polio, died in late May. He was 74 and had pancreatic cancer.